The liner comes in a twist-up packaging that keeps it nice and sharp without the need for sharpening (in fact, don't use a sharpener on this liner because it will damage the pencil!). I received a brown colour, which I don't normally use, but I liked adding this to the waterline underneath my usual black liner, to help give my smoky eye a softer, more blown out look. It looks fantastic and pigmented, and lasts a really long time and does keep a nice, almost sharp tip that helps me with drawing more precise lines when I need to. 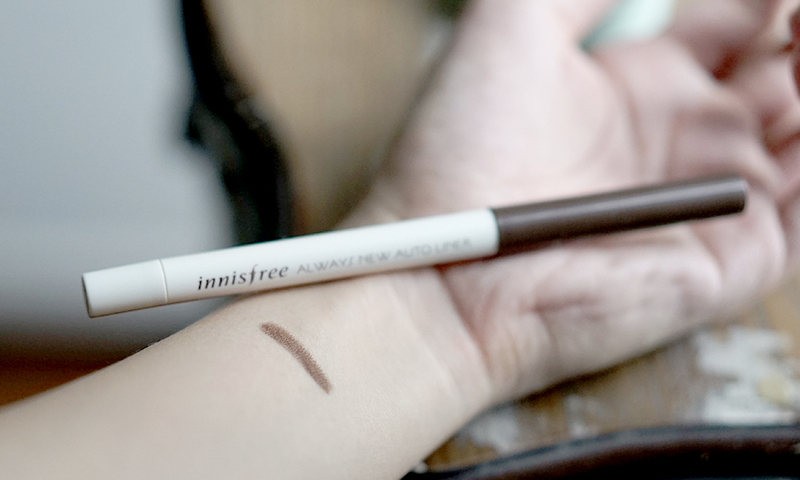 What I really like about this liner is that it's pretty damn waterproof/water-resistant. I washed my hands after swatching this and tried to wash off the liner, but it just wouldn't budge. Some soap and a bit of vigorous rubbing later, it's still pretty prominent on my arm. Me likey. 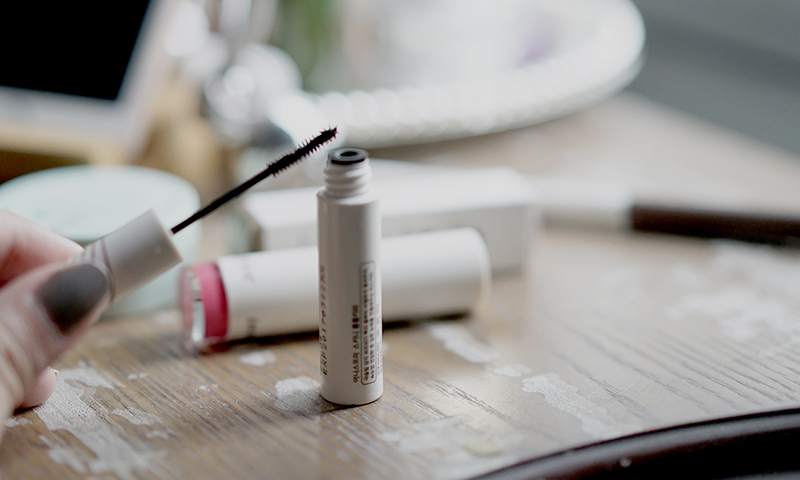 The Skinny Long Long Cara was actually a bit of a disappointment for my upper lashes, but I love the fantastic tiny brush for catching all my lower lashes. It manages to catch all my almost non-existent lower lashes and defines them prettily without weighing them down or making them clump. If you've got more defined lashes than mine, or if you like natural-looking lashes, you'll love this because the finish is wispy, light, and very natural. If you're interested in purchasing these products, I've got good news for you! 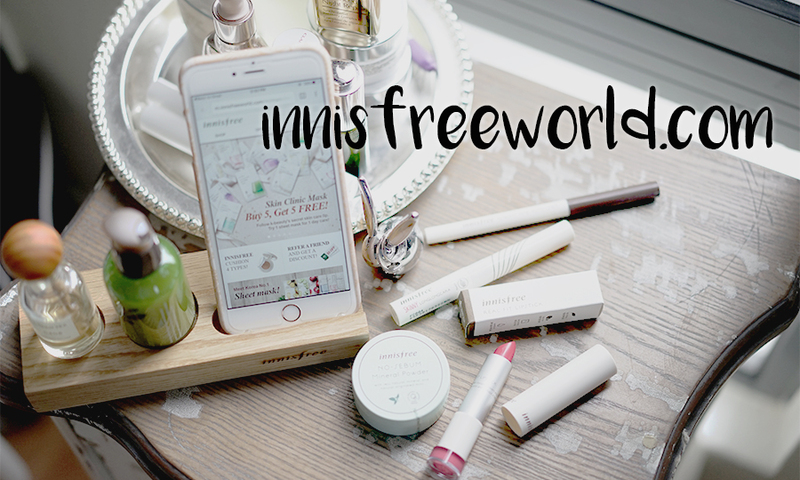 Innisfree is offering an awesome promo where you get 50% off in a 1-for-1 purchase offer from 20th to 30th April, 2016. Here's the link to the promo if you're interested in ordering! Another product I received (and a longtime favourite, actually) is the No-Sebum Mineral Powder. It absorbs oil so easily, blurs imperfections, and is super finely milled. This is my favourite powder for setting the undereyes because it's so fine and thus doesn't settle into the fine lines under my eyes, nor does it cake the concealer. Perfect for that, and so affordable, so you can bake to your heart's content! 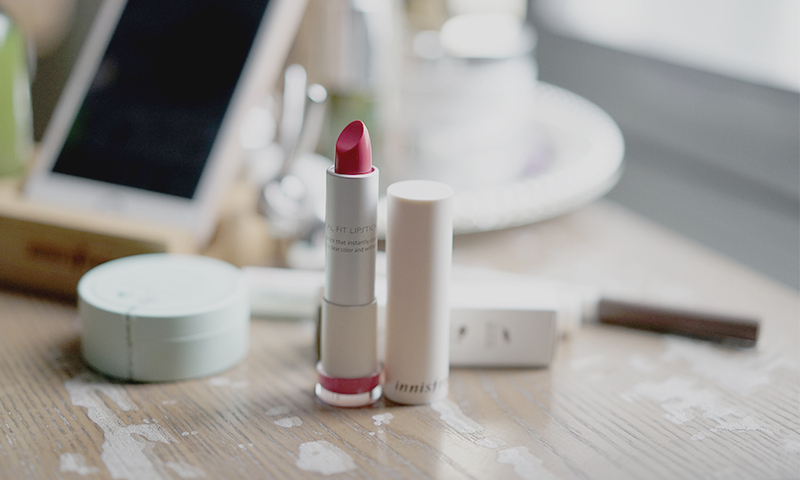 Finally, there is the Real Fit Lipstick. 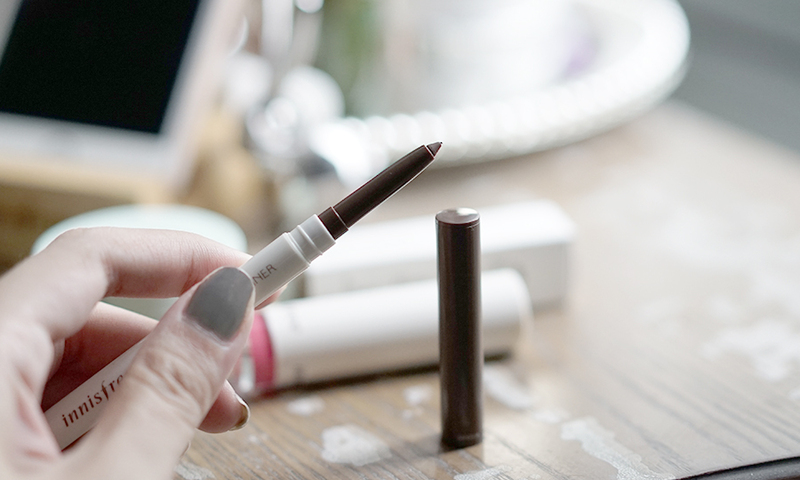 The lipstick feels so comfy on the lips, contains botanical oils to moisturise your lips, and provides a nice subtle wash of colour (it's pigmented, but not super pigmented, so I would recommend using a lip liner underneath to increase the intensity of the colour, and to even out your lip line). I barely feel anything when I'm wearing this lipstick, it's that comfortable. As far as colours go, the colour I received is the #12, a nice muted pink.